Tame the mane, rule the curl! 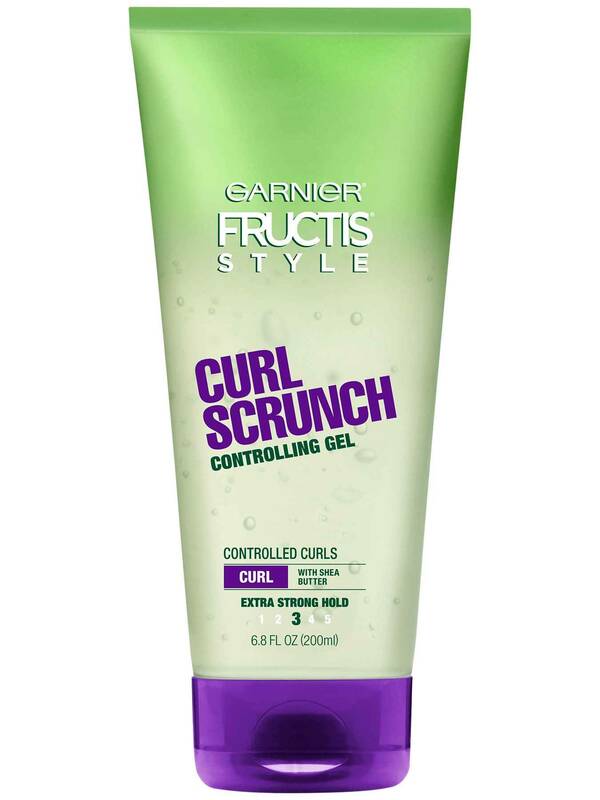 Garnier Fructis Style Curl Scrunch Controlling Gel for curly hair creates defined, volume-controlled curls for lasting hold free of frizz, flyaways, and flaky residue. 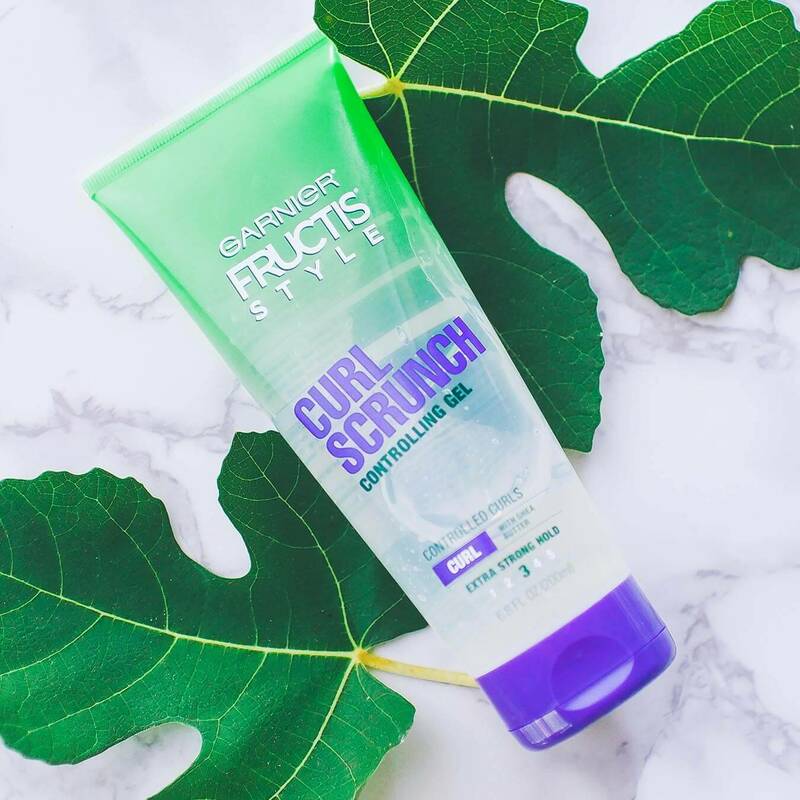 Curl Scrunch Gel is a non-drying, nourishing formula containing curl-binding agents and silicone to lock in shape and shine, leaving you with gorgeous, defined curl control without the frizz. Take a quarter size amount of product, rub between palms, then apply to slightly damp/dry hair and style. For longer or thicker hair, or simply to get more "definition", increase the amount of product used. 1031008 P Aqua/Water, Pvp, Propylene Glycon, Alcohol Denat., Oleth-20, Phenoxyethanol, Triethanolamine, Carbomer, Parfum/Fragrance, Polyquaternium-11, Dmdm Hydantoin, Peg/Ppg-22/24 Dimethicone, Ethylhexylglycerin, Pentasodium Pentetate, Limonene, Benzophenone-4 Hexyl Cinnamal, Linalool, Peg-70 Mango Glycerides, Butyrospermum Parkii Butter/Shea Butter, Amyl Cinnamal. F.I.L.# D159597/2. Rated 3 out of 5 by shawntaw from This product is ok it is on brand with most of the gels you'll find on the market, it if feels slightly stuff once dried light scrunch with hands to break it up. Rated 2 out of 5 by alessandram3 from I did not like this product for my hair. I felt my hair become heavy and dull. The smell is wonderful, but it did not work for me. Rated 3 out of 5 by rachelmd651 from This kept frizz away but my hair was crunchy. I wouldnt recommend this product. Less controlling. Rated 4 out of 5 by mandymejia115 from I use this right after the shower when my hair is wet to scrunch my curls. I also use it in the next days so try to restore my curls. I find this gel never leaves my hair crunchy and does a good job of defining my curls but I still have a lot of frizzy hair. Rated 5 out of 5 by alyssaxbrynn from I will never use another gel. This gel keeps my hair frizz free all day and no other gel works for me. 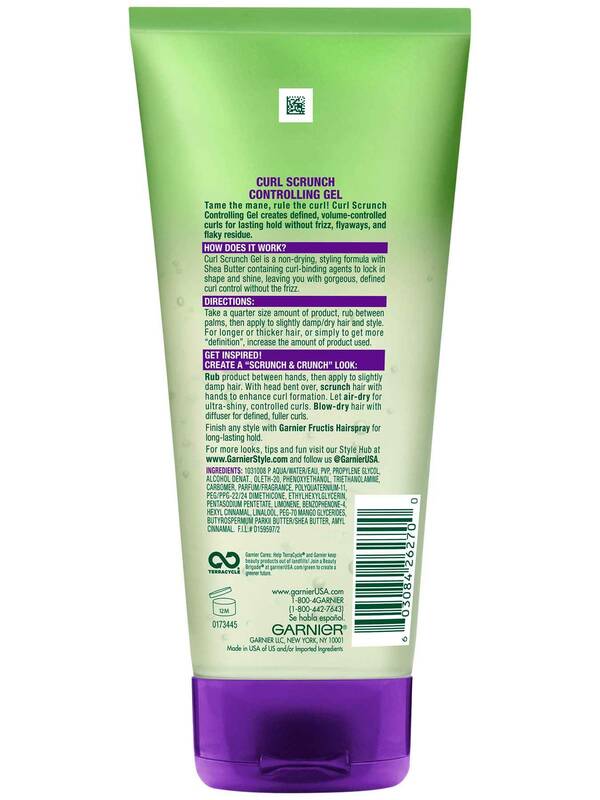 Rated 5 out of 5 by jordanlwoodfin from Ive always loved all Garnier Fructis products. They all smell so good like fruity smells and work well for a good price. Holds well for scrunching your hair and also for making the wave like edges as well. Definitely recommend. Rated 5 out of 5 by adriennebec8e from I have naturally wavy hair, but it is fine and thin. This is my favorite curl gel because it gives my waves definition and lasts all day without weighing my hair down. I also love that theres no crunch.